A shout out to all the nurses in our area! Happy National Nurses Day! A special thank you to Freudenthal Home Health's wonderful nursing staff including Stormy Cole, Glynis Neil, Trisha England, Tearany Allen, Sarah Bokay, Vickie Schubert and Jenni Musser! Tax Season For Family Caregivers: Are You Prepared? Did you know that if you are paying for part or all of your loved ones’ care, you may qualify for federal tax breaks? It’s that time of year when taxes are on everyone’s mind and if you are in charge of both your household and the support of a loved one, chances are the questions can pile up fast. Here are answers to some of the most common tax related questions that Family Caregivers have during tax season. Does having a dependent relative qualify for a tax return? Yes. Having a relative as a dependent qualifies a caregiver for a tax return as long as their income is no greater than $3,900 (excluding payments received through nontaxable disability and Social Security). In order for caregivers to claim a dependent, they must have provided over 50 percent of their relative’s support in that year. If those qualifications are met, a caregiver may take a $3,900 tax exemption per dependent. Can a caregiver claim a dependent’s medical costs for a deduction? Yes. If you have a relative that you claim as a dependent, then you can also claim any costs you have for their medical care as long as you are providing more than 50 percent of their support and if the medical costs total are more than 10 percent of your adjusted gross income for the year. If your dependent is 65 years or older, the percentage of health care costs compared to your income is reduced from 10 percent to 7.5 percent. Can more than one relative claim their loved one as a recipient? No. Even if two people (siblings caring for their parents, for example) are providing care, only one is eligible to claim a relative as a dependent. What are some things besides medical costs that are tax deductible for Family Caregivers? Items such as clothing, food, housing, transportation and even home modifications (like safety rails or ramps) can qualify for tax deductions. According to IRS regulations caregivers are allowed to deduct costs that are not covered by a health care plan for a relative’s health care costs, including (but not limited to) hospitalization, prescription drugs, copays, ambulance service and certain long term care services. Caregivers must remember to keep a record of all expenses. Are Family Caregivers only allowed to deduct a dependent if they are a relative? No. 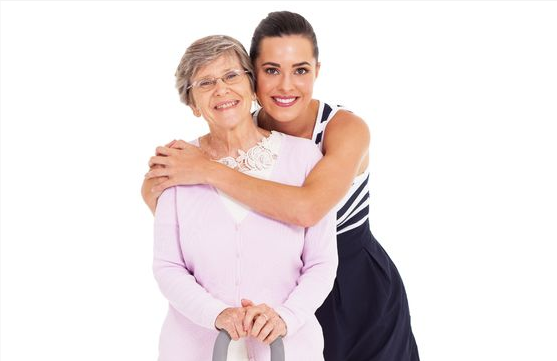 Caregivers may claim a non-relative as a dependent as long as that individual was a part of the caregiver’s household for the entirety of the tax year. Deducting your expenses for caregiving can be a relief, and so can having a partner in the support you provide your loved one. For additional information on your rights during tax time, consult your tax professional. For support in serving as the Family Caregiver, explore the services available at Freudenthal Home Health. Contact us today to learn more. Why Are Schedules So Important For Family Caregivers? Your alarm goes off in the morning. You wake, shower, get dressed and prepare breakfast for your family. Some days, you must also help your spouse run errands, make a stop at the post office and drop something off at the bank as well. That list seems long, especially when you think it all happens before 8:00 a.m. Being a Family Caregiver for a senior loved one who requires assistance is an entirely different part of your day, but because you are filling the role as a caregiver, sometimes you have to juggle more than one task at a time. According to the National Alliance for Caregiving, more than 65 million people provide care for a chronically ill, disabled or aged family member or friend and spend approximately 20 hours a week providing care for their loved one each year. So how do you do it? How do you balance your home life while still being an excellent Family Caregiver? It is important to remember that you can’t do it all alone. Family Caregivers are often people who try to go above and beyond what their duties call for; it’s just the type of personality they have. But sometimes, the ability to ask for help is hard. That’s why it’s important to readily accept the fact that you can’t manage it all and that asking for assistance from other family members, or hiring an at home agency is always an option. One tip that many researchers are finding helpful is for caregivers to keep a scheduled routine, both in their role as a caregiver and also in their own family life as well. First, it is important to set boundaries. 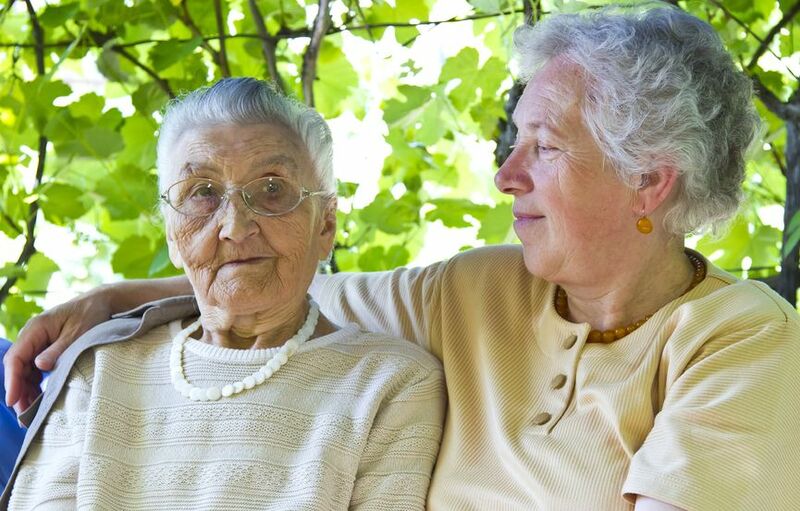 Talk with your loved one about your expectations as their Family Caregiver. Whether you require Sundays be spent at home with your immediate family or you are at home each night for dinner, it will be helpful for your loved one to know when you are available and when you would like to have your own time. This gives your loved one a guideline to follow so that they can respect your time at home. Second, set a daily schedule with your loved ones so that they know when to expect a visit from you. For example, it may ease their mind knowing you will arrive each morning at 9:00 a.m. Finally, it is important to keep your loved one informed about their scheduled appointments. Letting your loved one be involved and informed of their care will give them a sense of control, and it will also be helpful for you to have another person to remind you in case you forget to check the calendar. When it comes to assistance and questions about home health care, Freudenthal Home Health has many answers. We have trained professionals to assist Family Caregivers in all of the roles they fill. Contact us today to learn how we can be a part of your journey. Family Caregivers wear many hats and most would agree that you are a “jack of all trades” due to the long list of care services you provide to your senior loved one. You will inevitably take part in your loved one’s health care, which means you need to know the ins and outs of Medicare. Medicare is a federal health insurance program designed for people who are 65 or older (and certain younger people with disabilities and people with end-stage renal disease). Part A: Available to those in the hospital as an inpatient, this plan covers room costs and hospital services like meals and supplies. Part A also covers nursing facilities, hospice and home health care. Part B: This plan covers doctor’s visits, outpatient care, medical supplies and some components of home health. It also covers tests, shots and services used to maintain health, like flu shots, tests and screenings and ambulance services. Part C: Includes all of A and B, as well as prescription drugs. Plan C is usually available through private insurance companies who can sometimes offer lower deductibles and co-pays. Part D: This plan is available for prescription drug coverage. Be sure to call your insurance company to get a complete understanding of what is covered in your loved one’s health care plan. This will give you the knowledge need to help determine which Medicare policy best fits the need of your loved one. Another thing to consider is to research a Medigap policy. This is a private health insurance policy that supplements those who have Medicare Parts A and B. It requires a separate cost but is an option for those needing additional assistance in medical coverage. Additionally, it is important to know where to go for resources and questions. Online, you can visit www.medicare.gov for an extensive list of resources regarding a caregiver’s role in Medicare coverage planning. They have lists of coverage explanations, eligibility and even a glossary of Medicare terms you should know. Insurance and health care costs can cause a lot of stress and create many questions for you as a Family Caregiver. Consider what it would be like to have a partner in finding those answers. That’s where Freudenthal Home Health comes in. Contact us or visit our website today to learn about the many services and assistance our professionals can provide to ensure your loved one is receiving the best possible home health care.